only one of the people made a video showing their sketchy move and uploaded it for all to see, though. Racing is racing and guys should check the emotion when the race is done. Personally I would not have edited and uploaded the video, just perpetuates the issue which I am sure will have some carryover or spillover effects. I have lost it in the past (previously posted) but the circumstances were different (guy put me into a curb to get me off a World Track Champ's wheel coming into a sprint) and I made peace with USAC and all involved. Damnit I really want to do Folsom Omnium. I wonder how bad it's going to be with two weeks of almost (probably none) riding, and jet lag (coming back on 5th). I just headbutt who ever gets in my way. I have a thick skull, therefore i win the headbutt war. 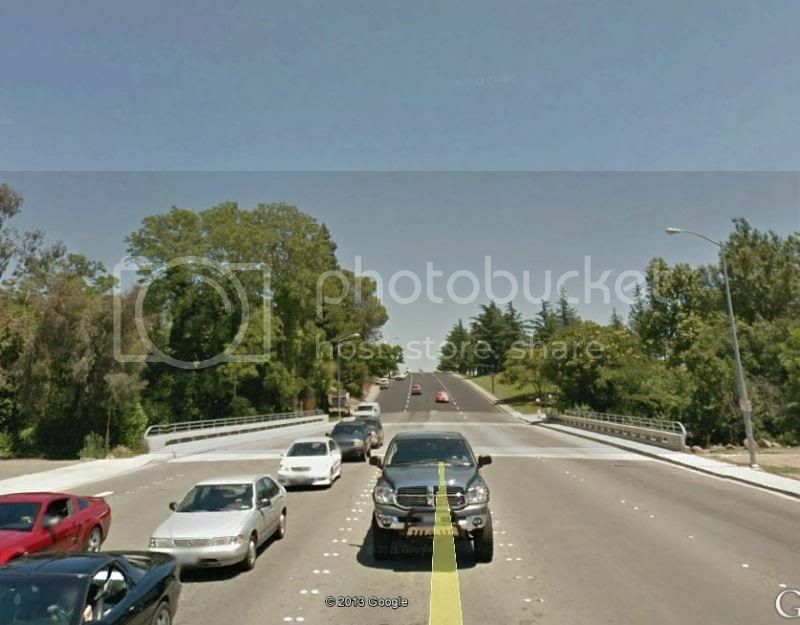 Hey locals, how does the Vacaville GP compare to Cat's Hill, hill-wise? I see that the flyer says the hill is bigger than Santa Cruz, but is it as steep as Cat's Hill? It's nothing like Cats hill, and done SC classic and Vacaville GP I think they are smoking something when they say that hill is bigger. Unless they don't count part of SC hill, and just from when you make a right for finish straight away. Even then I am skeptical. That being said as hack said, after few laps it starts to hurt. Also a wind is a big factor. Last year a break got away in 4's, which is a rare thing indeed. So bummed I'll be missing it this year. Super fun crit. Street View, duh, of course! Thanks for posting, yeah it looks painful but doable for me. No doubt a break will go in the 1/2's; then again they almost always do.. It's a good course for breakaways. I'm likely skipping Vacaville as I need a break and the two to three weekends after that are pretty much booked with races for me (Red Kite, Giro di SF, Folsom Cyclebration, etc). I'll be at Winters in the 3s. Too climby for me; maybe next year. There's ONE little climb in the middle of the lap, miles and miles from the finish. 35+ 123. If I manage to hang with the pack on the first of three trips up that one little climb, I will consider it a personal victory. i'll be at winters in the 3s as well. the 35+ 123 filled up too fast, and I have teammates in E3. i think the only way the race could be considered climby is if you were from florida. my first race since berkeley hills, its gonna be rough. P/1/2 fields have a funny way of making "little" climbs not seem so little. As a 3 I could fake it enough to win a hilly road race, not so much in the 1/2's. Maybe some day. Anyway all I know is the profiles I see of this race have these big spikes in them.. and the first blog post I found about it mentions "a fairly tough hill". I'm sure it's no Wente or Patterson Pass but it's enough for me to shy away from. The 8 am start (I can only assume) doesn't help. I need to work on climbing/more sustained efforts before I try something even with a "little" hill. And I actually am from Florida, so that may also explain it. I'm thinking of doing Winters as my second race ever. Anyone know the difference between 35+ & cat 5 and just cat 5? Haven't had a chance to map it out yet - how much of a hill is this little hill? Been a while, but it's less then 5min climb, followed by short steep descent with a tight turn, and then right at T intersection. Wanted to do Training Crit, but got delayed by bunch of stuff at work. I am really contemplating doing Foslom Cyclebration after I get back. Almost no riding for two weeks, coming back on Thursday, jet lagged, TT on Friday. Should be fun, no? i did the race last year as a 5. In my experience, the 35+ fields in general are little slower than the E5 field, especially in the 'sprint'. other than that, not much difference, same bunch of guys who think they know more than they do about racing (myself included). I'll be there in the 35+ 4's. It's hard to generalize about speeds but masters races can sometimes be a little smoother, sometimes more painful. looks like it's 5 miles low point to high point but only 2 very short segments with a half decent grade. Still, I bet the whole 5 miles hurts in a race. Last edited by aaronmcd; 08-21-13 at 08:59 AM.